Happy Birthday to everyone born in March! 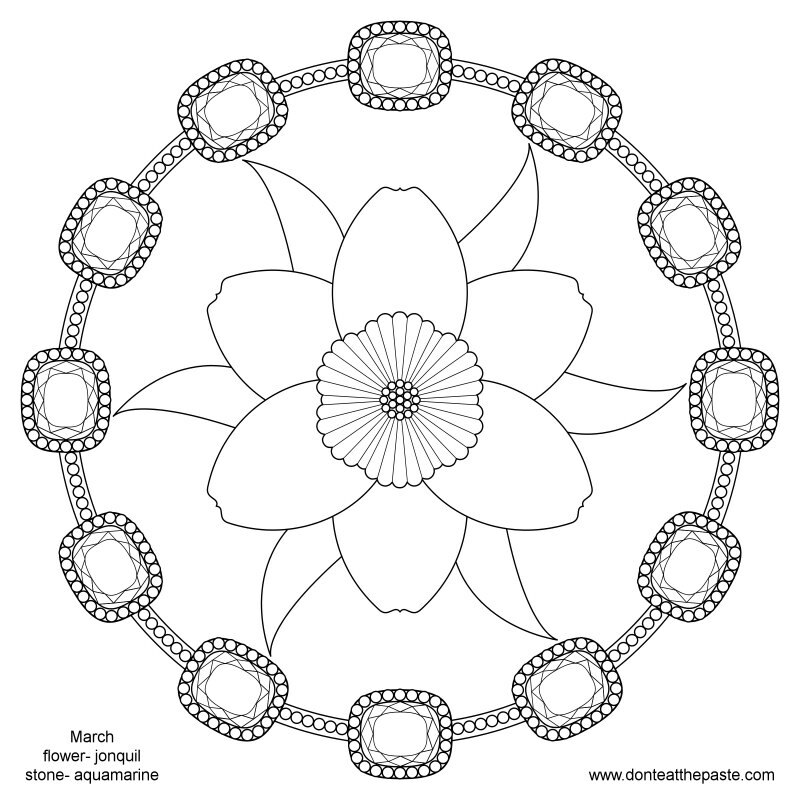 Time for a new birth flower/birthstone mandala! 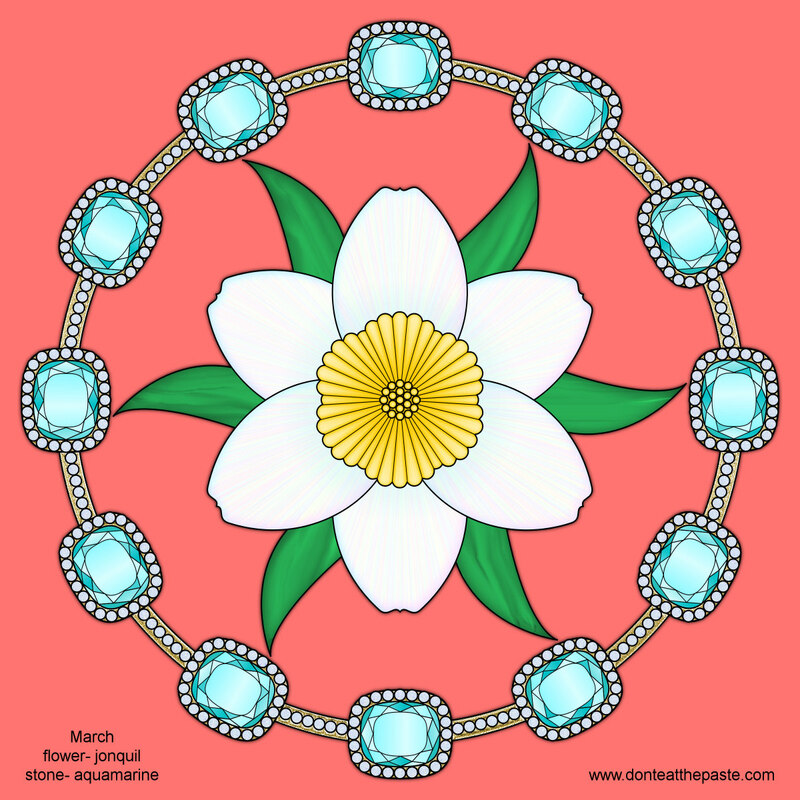 March is aquamarines and jonquils or daffodils which seems very appropriate because if you aren't living in a zone 3 or 4 area, you've probably got spring bulbs coming up now! The rest of us still have to force them in our homes for pretty spring flowers. Click the image for a larger version, print and color. As usual, you can also use these in crafty applications. 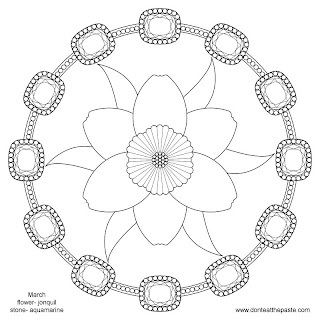 Click here to see the rest of this series of mandalas. Greetings from Australia. I am an Aries born in March. 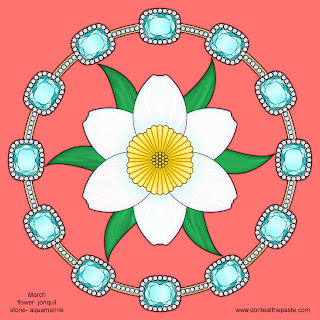 However March in Australia is our Autumn Season, therefore the "accepted" gemstones and flowers do not match with our climate in the Southern Hemisphere. I DO love your Mandalas. You are very creative & talented.